Do you have to be an expert to share your faith in our “modern” culture? Not at all! As a matter of fact I’ve found that skilled evangelists (typically the people that need apologetic arguments the most) often use simple, yet accurate points that they can communicate quickly because of the time constraints they are under. This does not mean Christians should not study their Bible (show yourself approved) or understand and explain sophisticated scientific and philosophical arguments. It just means sometimes we need strategy in our walk and our witness to match the situation. Throw the heaving line, not the hawser! When mooring a ship to shore, sailors will secure the vessel using massive ropes, called “hawsers”. Without these anchor points a ship will drift out to sea, and, unguided, be battered and sunk by the elements. These ropes are far too heavy to throw from ship to shore however. In order to draw the heavy line in, a smaller rope (the heaving line) is attached and thrown ashore, and then the hawser can be pulled in and secured. This is an analogy to a practical witnessing strategy. Sometimes we must start with a light, easy-to-wield delivery system before moving on to the more “weighty” matters. 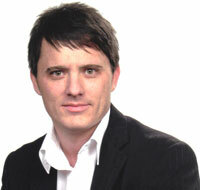 Canadian evangelist Cory McKenna, presenter of the weekly radio program The Cross Current. Recently I was speaking with Canadian evangelist Cory McKenna, who teaches on evangelism and takes teams of people out onto city streets weekly, sharing the Gospel. He airs real life conversations on his weekly radio show,The Cross Current. Cory explained to me how important it is for him and his teams to get to the heart of people’s stumbling blocks to the Gospel quickly, before they become disinterested and move on. Cory shared two “witnessing weapons” he uses to effectively share the Gospel: conscience and creation. First, God has written His Law on the hearts of all people and given them a conscience whereby they know it’s wrong when they lie, steal, blaspheme, etc. That’s why by using the Ten Commandments (the Law), he can objectively show people how they have sinned against a holy and just God and are deserving of His wrath. This also helps them understand why God sent His Son Jesus to be the perfect, sinless sacrifice for their sin. To do this takes time of course, and busy people often will not stop to listen if they think their time is being wasted. Cory explained that more than 80% of the time people will bring up evolutionary arguments or objections to the book of Genesis as reasons to reject the Bible. Yet they will often hang around for a long time, engaging in lively conversations. Some are often converted on the spot if they receive powerful, easy to understand illustrations that overcome their objections early in the conversation. Of course, it’s the “foolish” preaching of the simple Gospel message that ultimately saves. However, if people have already dismissed the Bible as truth, or simply profess non-belief in God, then starting with the Gospel apart from any apologetics may quickly lead to disinterest, and the person may walk away. This is why creation apologetics are essential when sharing Christ with an atheistic, evolutionary culture. Cory says such topics help people become “intellectually engaged”, causing them to voice their opinions and be more open to spiritual concepts. He follows up these initial witnessing encounters via 1-on-1 meetings or on-line communications, in an attempt to further the person’s journey towards Christ. Only after such communication has been established can more in-depth objections be explored, often by simply sharing/forwarding articles like the ones on CMI’s FAQ page. After admitting there may be a God the person is now much more willing to receive the Gospel. When confronted with this simple, un-antagonistic line of reasoning Cory says many will agree that it is possible that there is a God. For many people this is a huge first step! Hebrews 11:6 says: And without faith it is impossible to please him, for whoever would draw near to God must believe that he exists and that he rewards those who seek him. After admitting there may be a God the person is now much more willing to receive the Gospel. 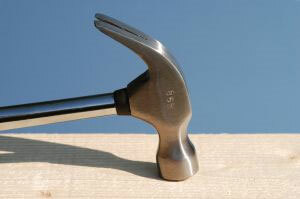 Smacking your thumb with a hammer is a painful experience! It often makes you hesitant to try again. But an experienced carpenter rarely misses, and feels the satisfaction of regularly hitting the nail on the head. Note that the above analogy is derived of two components that can be expanded greatly, the design argument, and the information argument. Cory says the team member that came up with the analogy is extremely well versed in Christian apologetics and can deliver sophisticated explanations if asked. But he uses this analogy to put a chink in their armour quickly (making the person understand they have weaknesses in their belief system) and help them understand it is not “un-intellectual” to believe in God. 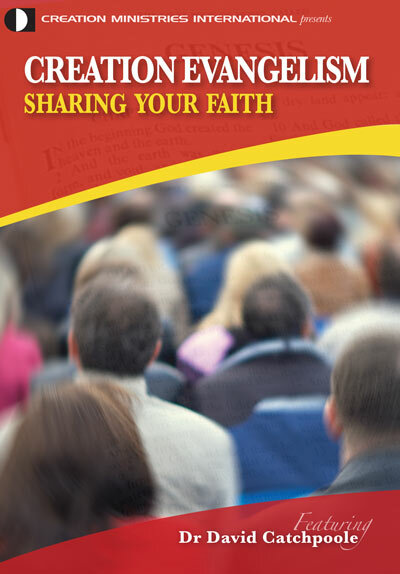 As sharers of God’s word we need ready answers to questions about the Christian faith we know many will ask. CMI has many “hit the nail on the head” tools that can help you sharpen your skills in this area. 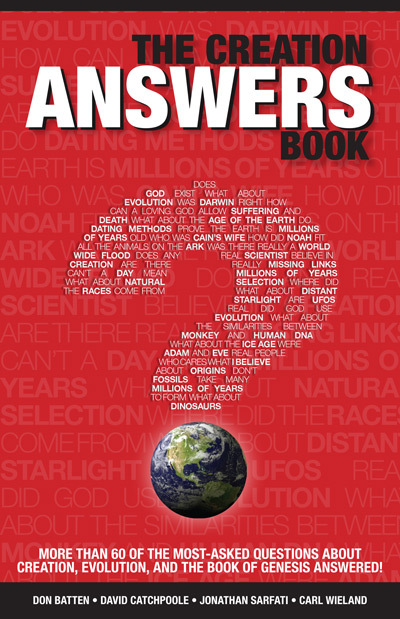 Some of our most popular are: Creation magazine, Stones and Bones, the Creation Answers Book, Answers to the 4 Big Questions, and Creation Magazine LIVE! Armed with these simple tools in their pouch, Christians can get a lot of work done in their mission field, and avoid the painful sting of a missed opportunity!